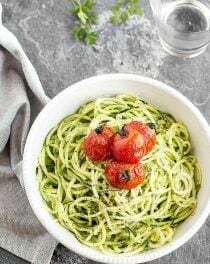 These zucchini noodles with avocado sauce are the perfect solution for a quick, simple, filling and healthy lunch or dinner. The creamy avocado sauce adds a lot of flavor and healthy fats and it’s amazing on pretty much everything you can think of: tacos, grilled chicken, regular pasta, salmon, sandwiches, burgers, etc. I like the crunchy texture of raw noodles but if you prefer them warm, just saute them for a couple of minutes. 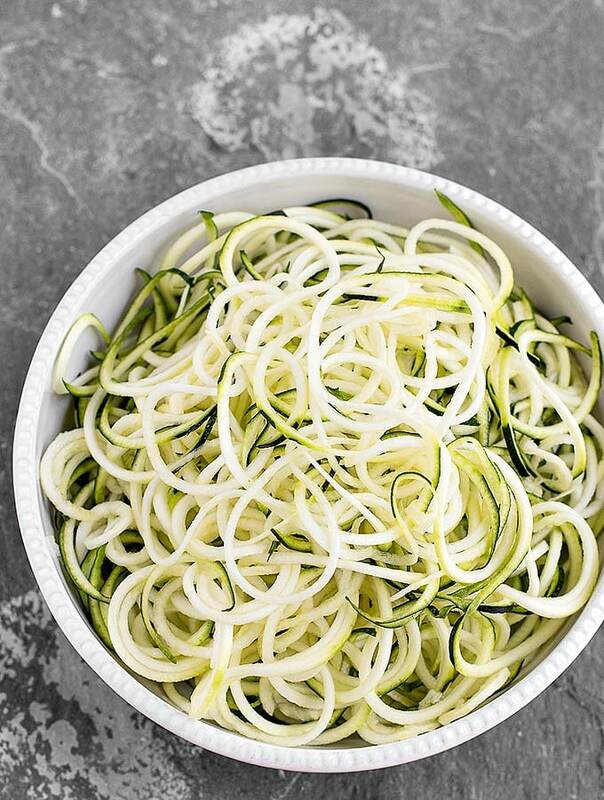 To make the zucchini noodles, all you need is a spiralizer . 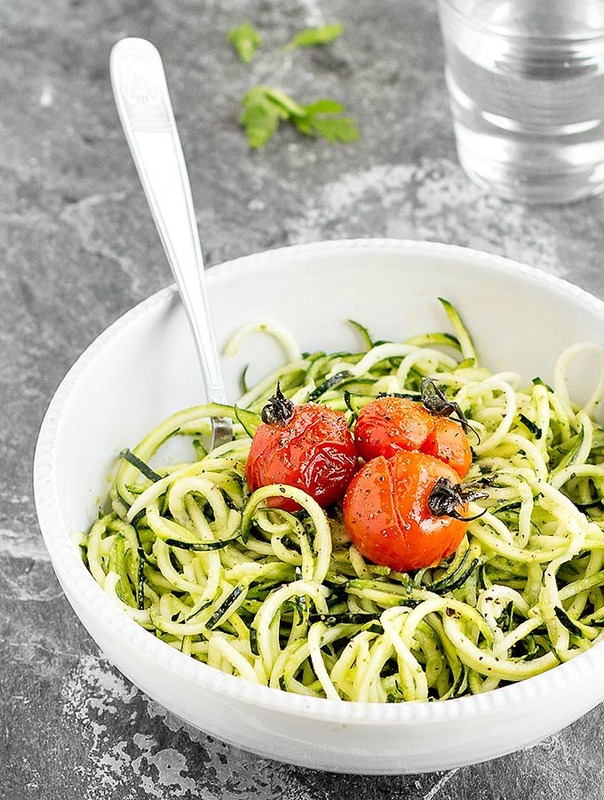 You don’t have a spiralizer yet? You can easily make noodles with a julienne peeler or a mandoline. I highly recommend investing in a spiralizer because you’ll get so much use out of it. You can spiralize carrots, beets, sweet potatoes, squash, apples, …. I have this spiralizer and this one (these are not affiliate links). In my opinion, the first one is much better. Burst cherry tomatoes are also super easy to make and add a pop of color to the dish. Drizzle the cherry tomatoes with olive oil, season with salt and pepper, and bake for 15/20 minutes. Just a quick note: whether or not you cook the zoodles, when you add the sauce they’re going to get a little watery. So to avoid excess moisture, serve them immediately. If you have leftovers, make sure to store everything separately and assemble just before serving. 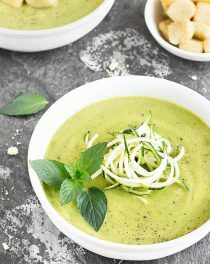 If you try these zucchini noodles with avocado sauce, let me know what you think! Leave a comment and don’t forget to take a picture and share it on my Facebook page or tag it #aseasyasapplepie on Instagram! Preheat the oven to 200 degrees C (392 degrees F). 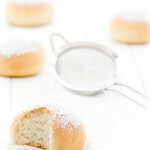 Line a small baking sheet with parchment paper. Place the cherry tomatoes on the prepared baking sheet, drizzle with olive oil, and season with salt and pepper. Bake for 15-20 minutes, until the tomatoes are blistered and start to burst. In the meantime, prepare the avocado sauce. Place all the sauce ingredients into a food processor and pulse until creamy. Taste and adjust if necessary, adding more water if it's too thick. 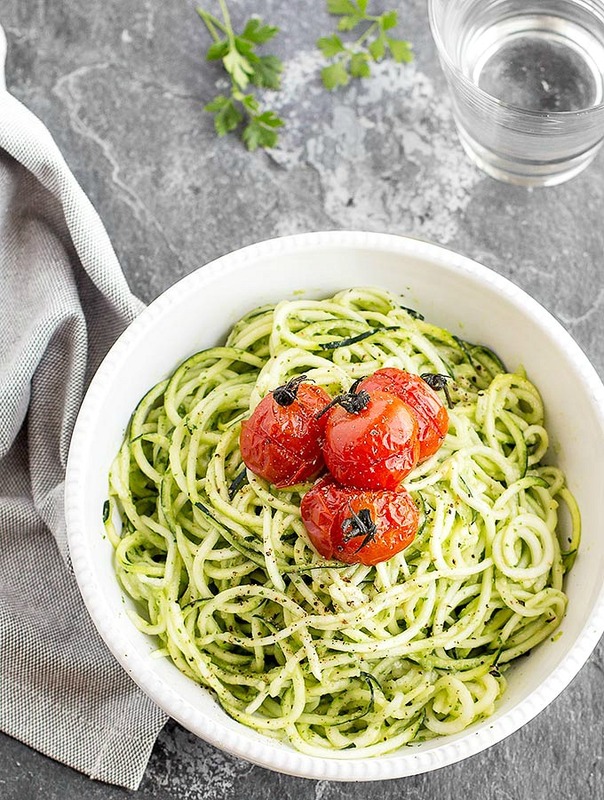 Toss the zucchini noodles with the avocado sauce. Once the noodles are coated, divide them among 3 bowls, top each bowl with cherry tomatoes and serve immediately. This looks really delicious! 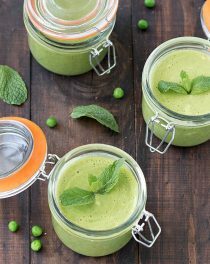 Love that avocado sauce!